Posted by Lorely on July 1, 2014. It is always fun decorating different venues for weddings and parties, this time of year there is plenty to do, with weddings every weekend and lots of summer parties. 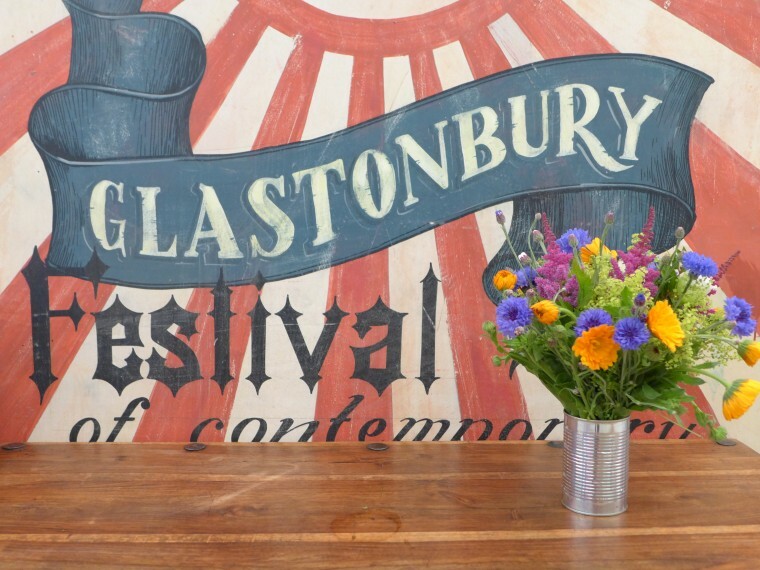 Last weekend it was very exciting to get a contract to do the flowers at the biggest local party, Glastonbury music festival! 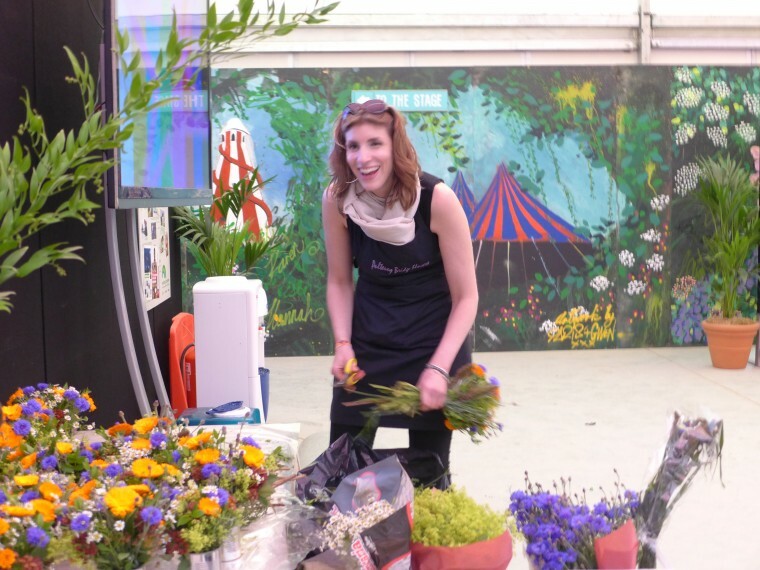 We were asked to provide flowers for the dressing rooms backstage of the Pyramid stage. With vintage purples, pinks and blues and old fashioned roses very much in fashion we thought this would be really pretty. 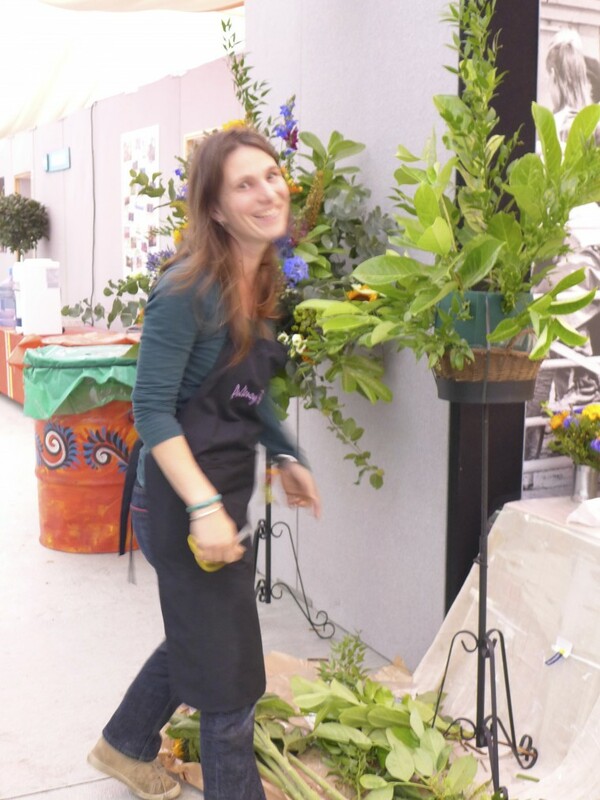 Then we thought about what the festival really is and decided we needed a riot of colours with plenty of locally grown flowers. 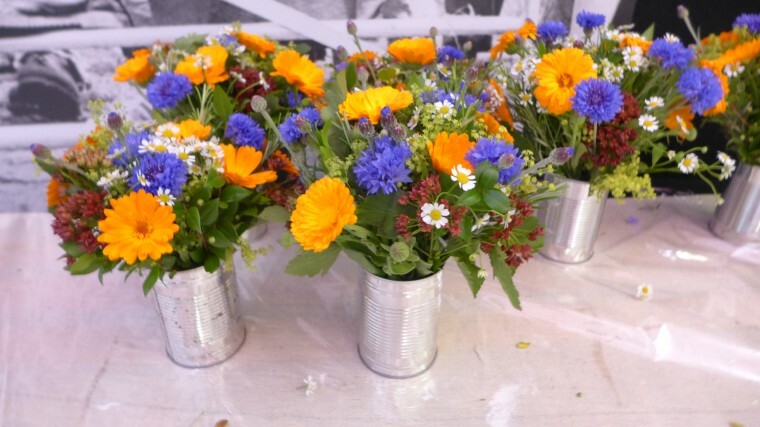 We decided to fill recycled tin cans and jugs with bright summer garden flowers. 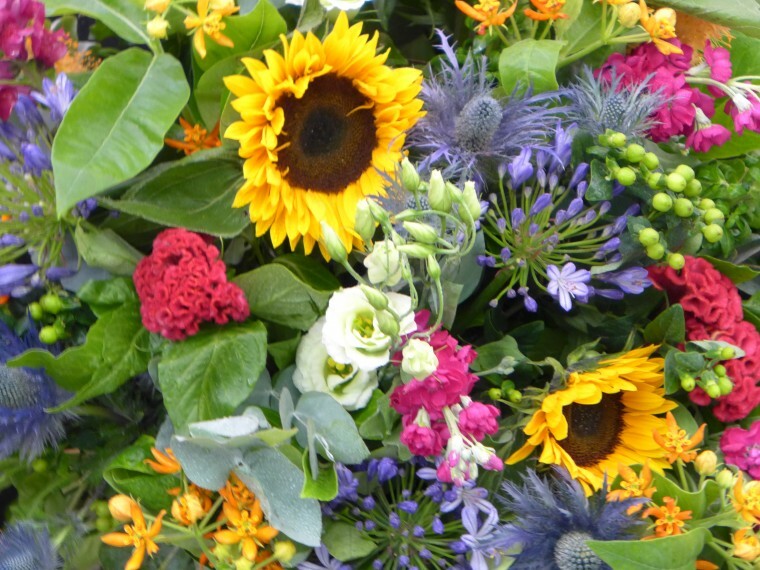 We used vibrant blue cornflowers and marigolds all grown in St. Catherine’s valley just outside of Bath. Up-cycled tins at the Pyramid stage. Up-cycled tin cans waiting to go on dressing room and coffee tables. 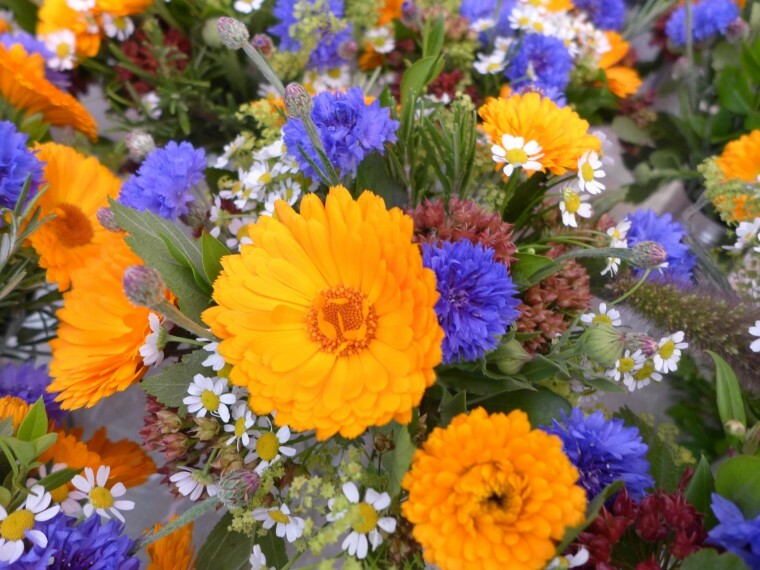 With bright blue cornflowers and vibrant marigolds, all grown in St Catherine’s Valley near Bath. 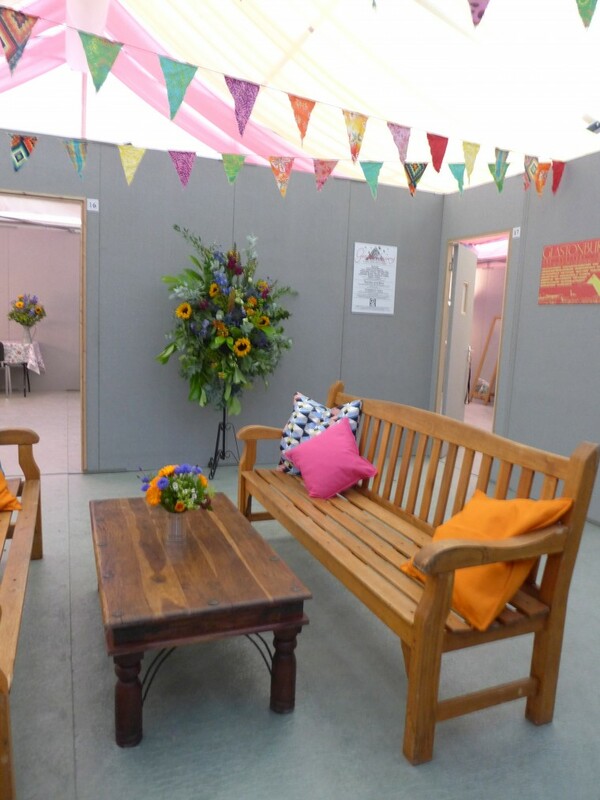 We were really pleased with the vibrant mix, and they went well with bunting and bright cushions throughout the backstage area. Bringing the dressing rooms to life with warm summer flowers. 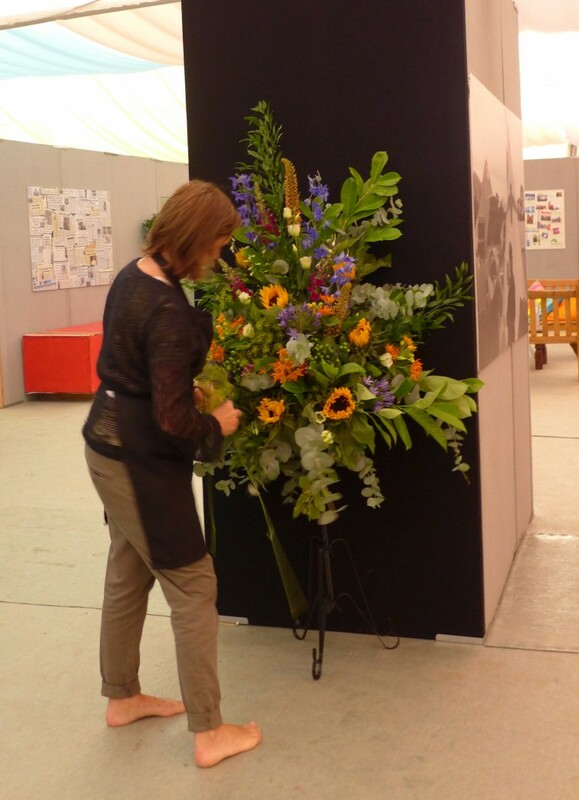 We filled pedestals with hot pink celosia, pink stocks, asclepia beatrix, sunflowers and blues from the agapanthus and eryngium. They looked quite striking against the jet black walls. Viv barefoot to avoid trampling mud everywhere. 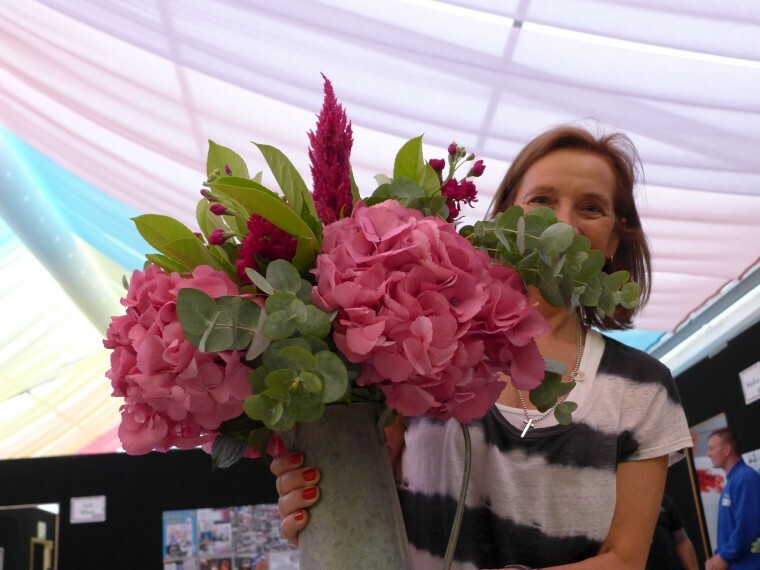 t was quite warm when the sun did shine between the showers, and as it was a four day event we had to go in every day to refresh the water and top up the arrangements. 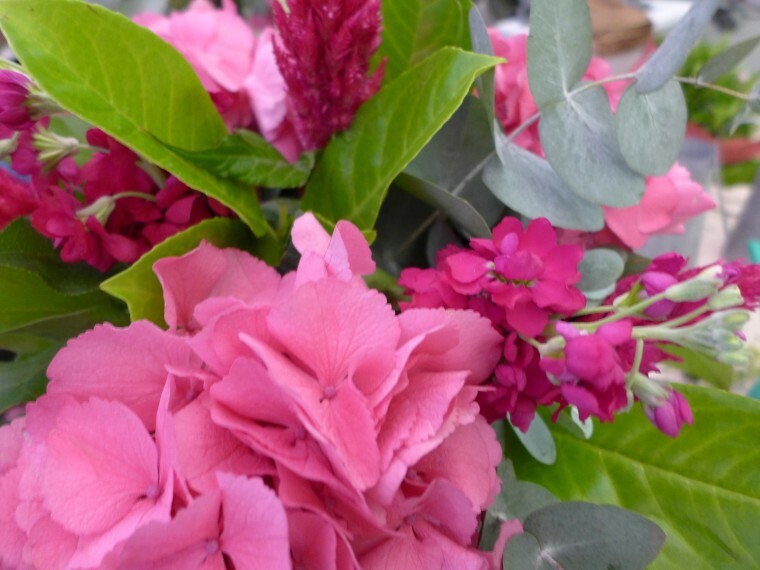 We couldn’t resist doing bright pink and blowsy for Dolly’s dressing room! The hydrangeas were just perfect!